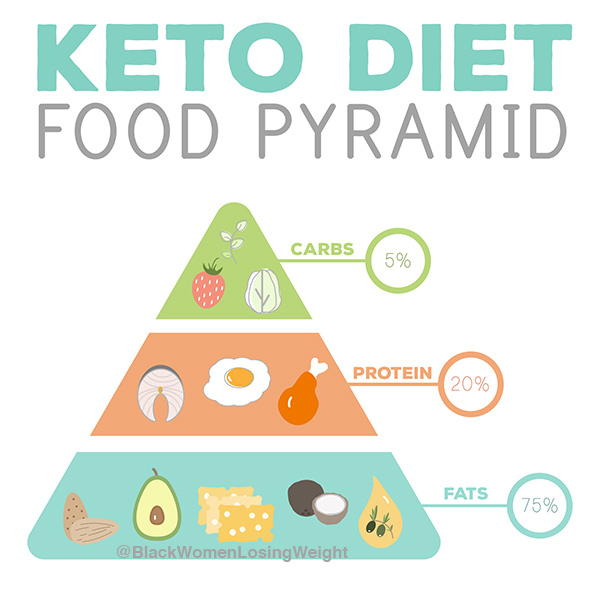 You are here: Home / weight loss / Keto Mistakes: Are You Actually Ketogenic or Just Low Carb? Google searches for “Keto” are at an all-time high. In fact, the search volume for “keto” in 2018 is exactly 100 times what it was in 2004, when Google first began tracking global searches. So why has the ketogenic diet become so popular? A keto diet is one where you consume more calories from fat and protein than carbs. This macro breakdown forces your body to deplete its energy stores resulting in ketosis (a process where your body burns ketone bodies for energy) and weight loss. Reduced acne due to a lower glycemic load. Improved alertness and cognitive functioning. Reduced seizures in childrensuffering with epilepsy. It’s no wonder keto is more popular than ever! Unfortunately, many people aren’t really following a true ketogenic diet. You see, a keto diet is a low carb diet — but not all low carb diets are keto diets. Of course, this isn’t to say that low carb diets aren’t effective… they are VERY effective! But they won’t necessarily allow a person to reach ketosis. So How Exactly Does a Ketogenic Diet Work? A ketogenic diet is all about putting yourself in a state of ketosis. 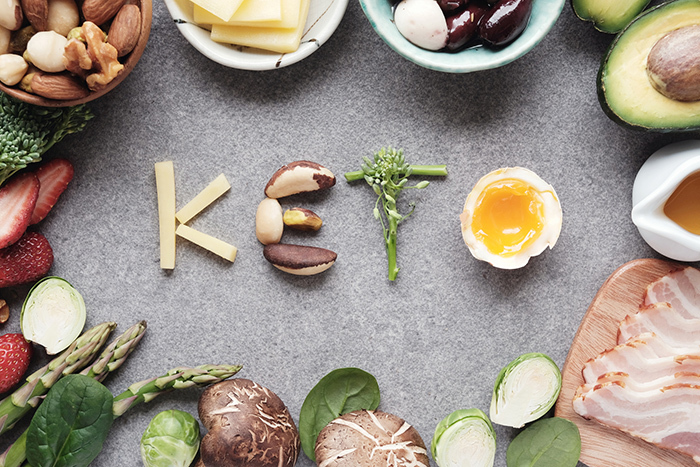 Now, if you’re unfamiliar with ketosis, you might be wondering, “What is that?” By reducing your carb intake to very low levels, your body’s cells will no longer have lots of carbohydrates to convert to glucose and burn for energy. So instead, it will begin burning fat for energy, which produces ketone bodies. Your body will then use those ketone bodies for fuel. Here’s the tricky part: it’s not enough to simply commit to a low carb diet. To properly execute a true ketogenic diet, you must change your intake of all three macronutrients. A 75-25-5 split is the most common. This is an extremely specific goal, which is why many people who attempt a ketogenic diet inadvertently end up practicing a low-carb diet instead of a ketogenic diet. I must note that reaching ketosis may require a different ratio of fats, protein and carbs for each person. There is no perfect ratio that works for everyone and it can take a while for your body to adjust to a new primary fuel source. So… what can you do to successfully reach ketosis? First, let’s evaluate some common mistakes to avoid. Eating too many carbs.It’s not enough to be just low carb. You want to be VERY low carb. How low? No more than 20 grams of digestible carbs is a great start. (To put this into perspective, half a hamburger bun, a few bits of rice or pasta, and a small mini potato are all 20 grams of carbs… each. And…you wouldn’t be eating any of these on keto.) Most people fall between 50 to 20 grams of carbs per day depending on how low they have to go to reach ketosis. Eating too much protein.The good news is that you can eat more protein than carbs on a keto diet! The downside is that you still have to restrict protein to moderate levels in favor of eating more fat. Not eating enough fat. If you’re not used to a keto diet, a macro breakdown of 75 percent fat is a LOT of fat. For a 2,000 calorie per day diet, that means that 1,500 calories should be (healthy) fat calories. NOTE: I can’t talk about all the great benefits of keto without telling you that there are potential issues. In my opinion, there are people out there who shouldn’t be consuming a diet that is %75 fat without being monitored by a doctor due to existing medical issues. Speak with your doctor and consider ALL of the pros and cons before adopting a keto diet. Just like any other diet, it’s not for everyone. First, it’s critical to track everything you eat and drink. Seriously. Don’t guess. Know. This doesn’t mean you have to track everything you eat for life. After a few months successfully on keto, you’ll be better able to judge and measure the foods you’re consuming. Also… it’s imperative that you still count your daily caloric intake. 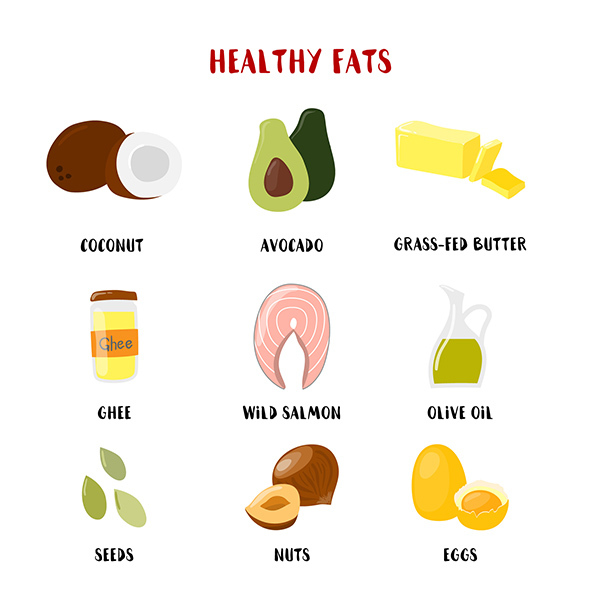 More fat doesn’t mean that you can eat endless amounts of fat. The timeless principle of creating a calorie deficit still applies. AVOID foods such as potatoes, pasta, bread, rice, beer, donuts, candy, sodas, and juices. These foods are all rich in sugar and carbs. You don’t have to avoid all carbs. Fiber rich green veggies are great on a keto diet. You can also incorporate low glycemic index fruits, like raspberries and blueberries, into your diet. Many choose to avoid dairy as well, specifically milk, cream and half & half. DRINK water. This is your #1 priority. Drink it hot, drink it cold — just make sure you’re drinking water. You can also drink coffee, but skip the sugar. The same goes for tea. If you think you’ll have a hard time cutting out sodas and other drinks, try replacing them with bone broth! It’s hydrating and rich with nutrients and electrolytes! Just like any other diet, it’s a good idea to cook your own food and plan out your meals. Sure, it might take more time, but you’ll know exactly what’s going in your body! Furthermore, low carb doesn’t mean low fiber! You can eat a lot of fiber on a keto diet. The good thing about fiber is that it leaves you feeling full. This will help reduce cravings for sweets and other sugar-rich, carb-filled foods! Finally, be sure to avoid stress at all costs. Unnecessary stress can affect insulin and cortisol levels, which can actually make it difficult to lose weight and even lead to weight gain! As with any diet, commitment to a routine and an eye for detail are key! It might take a few days (or weeks) for you to adapt to a keto diet, but once you experience the benefits of ketosis, the journey will have been worth it! Keto isn’t “the magic answer”, but no diet plan is. Just like any other plan, it may not work for everyone, but it may work very well for many. Do you own research and make the best decision for your life.